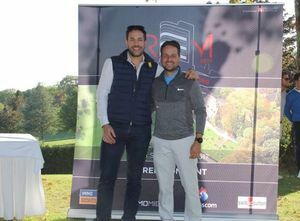 In order to change your ideas, the agency Privilège Events & Communication SA organizes a sports day in the form of a "Golf and Tennis" competition. For this exclusive event, the famous "Golf & Country Club Bonmont" opens its doors. The programme of this sports day will be as follows: breakfast in the courtyard of the Château de Bonmont, golf tournaments followed by a tennis tournament, the announcement of results and the presentation of prizes. 80 people will fight for the first prize: an excursion to the Classic Car Rally on the French Riviera.